The Girl With The Spider Tattoo: Beauty by Shea 100% Raw Unrefined African Shea Butter Review and Giveaway! Ends 9/01/14! 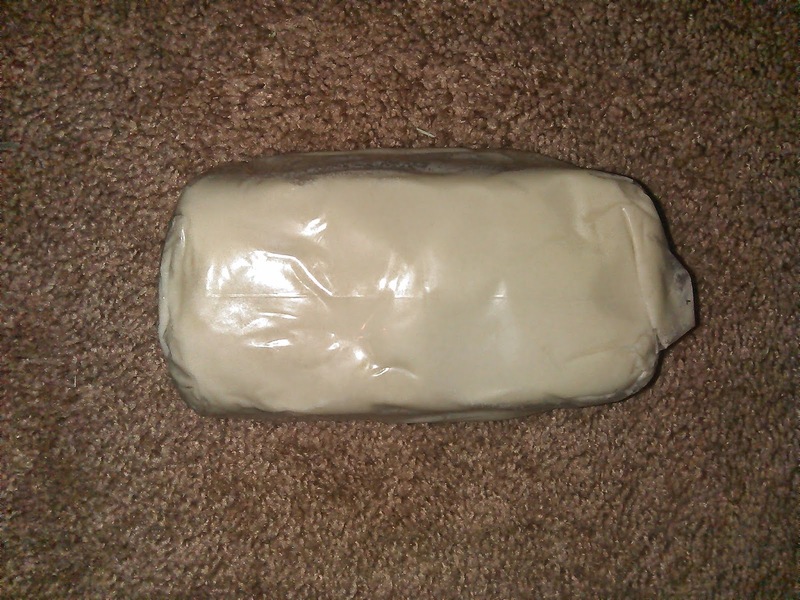 Beauty by Shea 100% Raw Unrefined African Shea Butter Review and Giveaway! Ends 9/01/14! I've used several products with Shea Butter in them over the years and have always really liked how they leave my skin feeling. 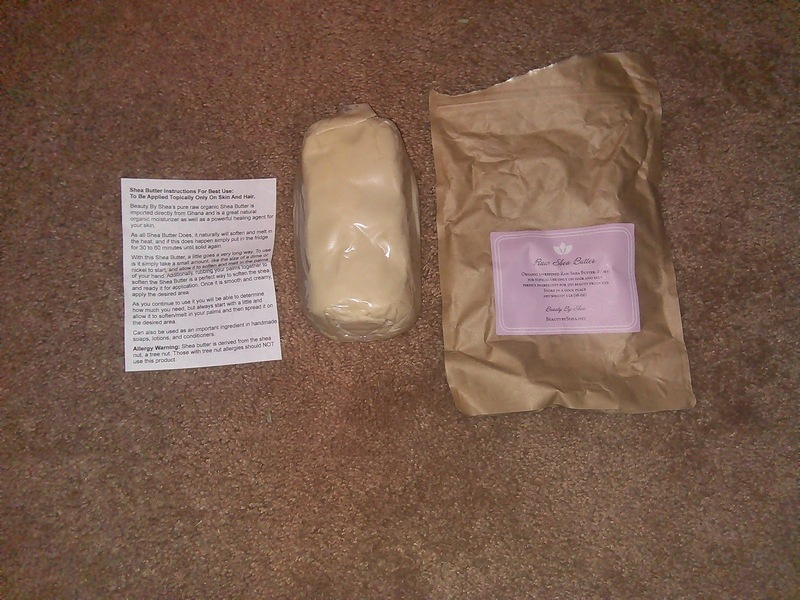 I was anxiously awaiting my first bag of 100% Raw Unrefined African Shea Butter from Beauty by Shea. With this Shea Butter, a little goes a very long way. To use is it simply take a small amount, like the size of a dime or nickel to start, and allow it to melt in the palms of your hand. Rubbing your palms together to soften the Shea Butter helps too. Then apply to skin in the desired area. This was the first time that I used Raw Shea Butter. 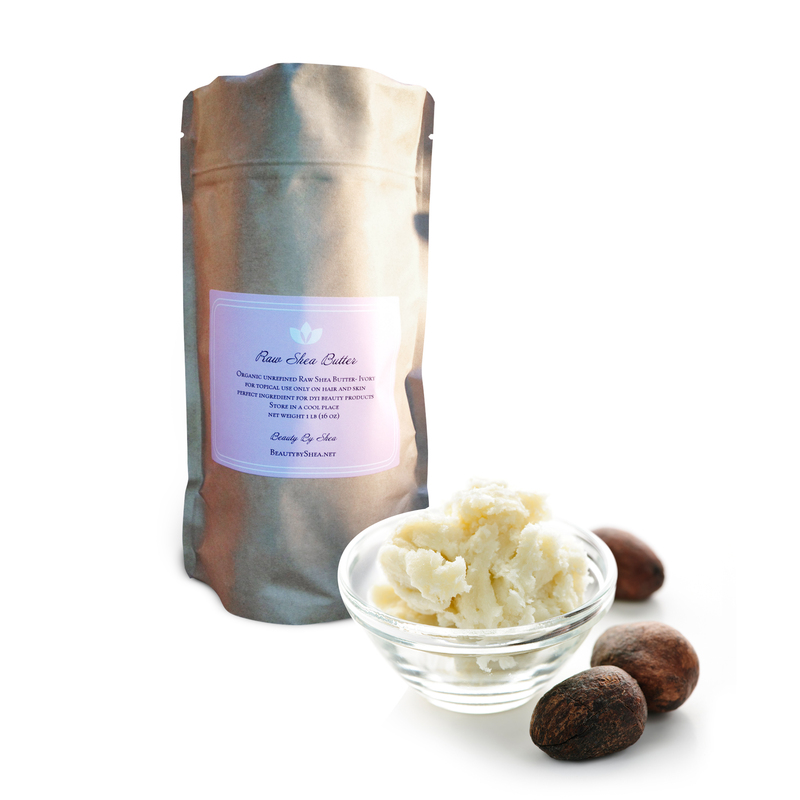 I was really happy to try it out because I've heard and read so many good things that raw shea butter can be used for. This particular product came sealed and as a pretty big sized block of butter. I was surprised at the quantity and very thrilled to start putting it to use. I quickly jumped online for some good "recipes" to use it in. I found several for lotions and for hair. Since I've used shea butter lotions, I really wanted to see what it could do for my hair. I put a tablespoon in a little bowl and heated it only for about 6 seconds. I didn't want to make it into oil and I hear it's actually best to heat it in other ways so as not to destroy the butter...but I heated it to the point where it was not entirely oil form. I mixed it in with half a tbs of olive oil, half a tbs of coconut oil, a tbs of conditioner, and a few drops of lavender oil. Then I applied it to my damp curls, wrapped with plastic wrap and then wrapped a hot towel (from the dryer) on it. I left it on for a little longer than an hour and OMG, the results were excellent! My curls look so defined and bouncy and shiny after. Not the best lighting here, but in person, they were awesome! 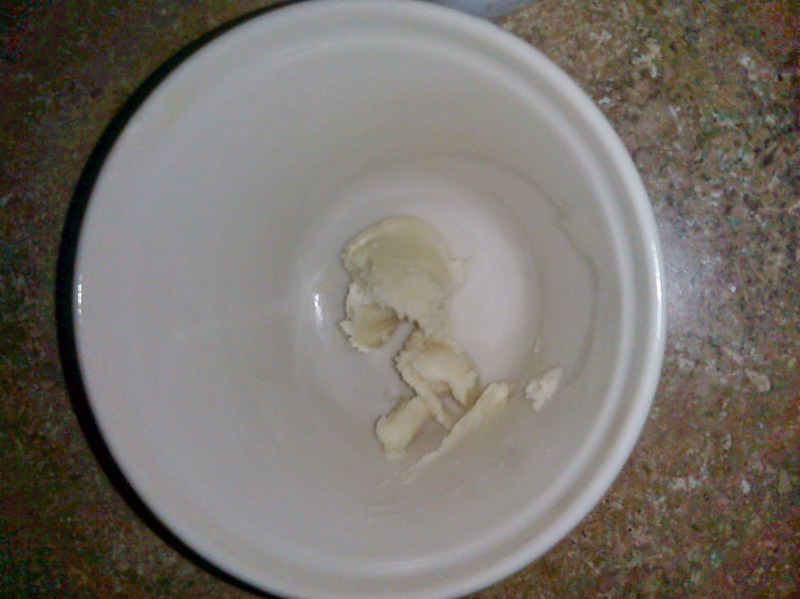 I love Raw Shea Butter! I will continue to do this every week or so because I love it so much. Yes, I am having a giveaway, but if you want to, you can Buy on Amazon right now too! You can enter my giveaway below for a chance to win an 8oz block of shea butter! Free to enter! Ends 9/01/14! One winner will be chosen by random.org. Winner must be 18 or older. Winner will be contacted via email and will have 48 hrs to respond UNLESS they provided shipping info above. Beauty by Shea is responsible for prize fulfillment.